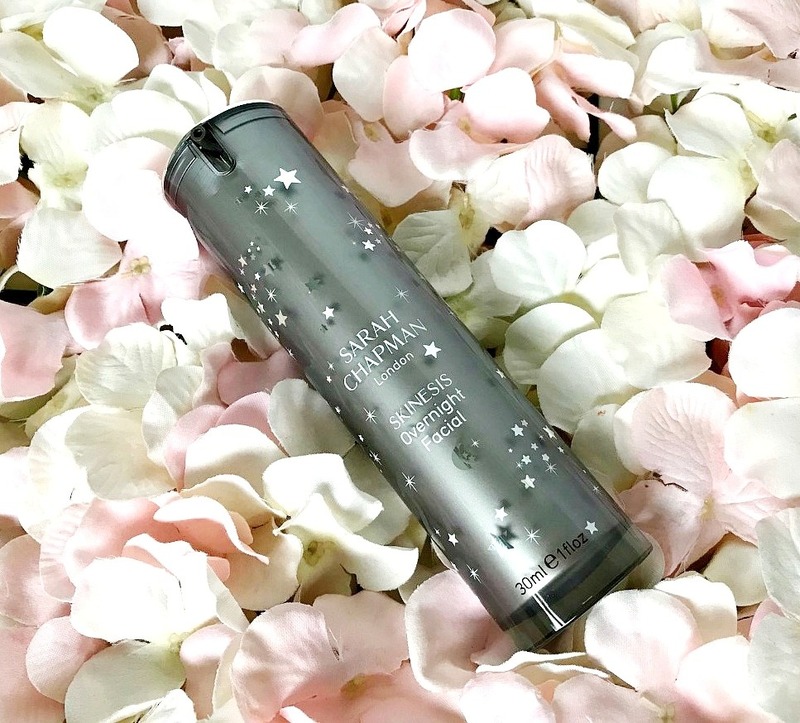 Welcome back to another installment of The Hype Is Real (see parts 1, 2 and 3) and this time it's all about a product that I loved from first use - Sarah Chapman Overnight Facial. Described as having 'magic hands' by Victoria Beckham, Sarah Chapman is both a trained facialist and cosmetic scientist and her products all focus on achieving glowing, radiant, healthy skin. I have tried a good number of her products and repurchased several - the one that I always have in my skincare stash is Overnight Facial and if you are new to the brand, it is the product that I recommend you start with. It is a serum-oil hybrid that is absolutely packed with skin-loving ingredients: Renovage™ which helps to preserve the life span of cells, Dermaxyl™, which boosts collagen production, omegas, which nourish the skin, antioxidant vitamins, which protect the skin, stabilised Vitamin C, which brightens the skin, Vitamin A, which is the only proven anti-ageing ingredient, and an essential oil blend of jasmine, rose, tuberose and frangipani, which combine to soothe and calm the skin. The oil is in an airless pump to protect the ingredients. It is applied as a last step in your night-time routine. I like to take my time to massage it into my skin. A little goes a long way, which is fortunate given that there is only 15ml in each bottle (which is my only complaint about this product). Pictured above is the 30ml limited edition bottle, which was released before Christmas. I loved this product from first use. I have dry skin, therefore it is naturally dull - combine that with the fact that I am chronically ill, which shows in my skin, I am always on the lookout for products that will promise a glow. My skin is also frequently inflamed so I like soothing products. If I can find one that will address all of my skin's issues, even better and this little bottle of magic does just that! It's one of those products that gives overnight results and I know that when I use it, I will wake to better skin. My skin is always plump, soft, comfortable, nourished, calm and glowing the morning after use. It hides the signs of a multitude of sins - late nights, less than optimal food choices, broken sleep and fatigue. As long as you aren't sensitive to essential oils, I urge everyone to give this product a go. I know it's expensive but instead of using it nightly, you could use twice weekly to make it last longer. It is the ideal product for a bride to use the night before her wedding (or a groom) because of the glow that it gives. Those with dull skin or seeing the first signs of ageing, would love this product too. This is a hyped product, with very good reason, and one that I will forever repurchase. Have you tried it? Available from Cult Beauty, Space NK, Look Fantastic, Feel Unique, John Lewis and Arnotts (although if you are in Ireland, I recommend buying from one of the other sites in £ as the exchange rate is really good at the moment and the Irish price is a rip off, plus you can avail of free shipping).